I have a two-year-old boy at home who unfortunately seems to have a problem with handknits. I should have learned my lesson from the Gramps sweater, right? Below you will notice the progression of photos as I bribed my son into his new hat with chocolate chips. Chocolate really does make everything better, doesn't it? 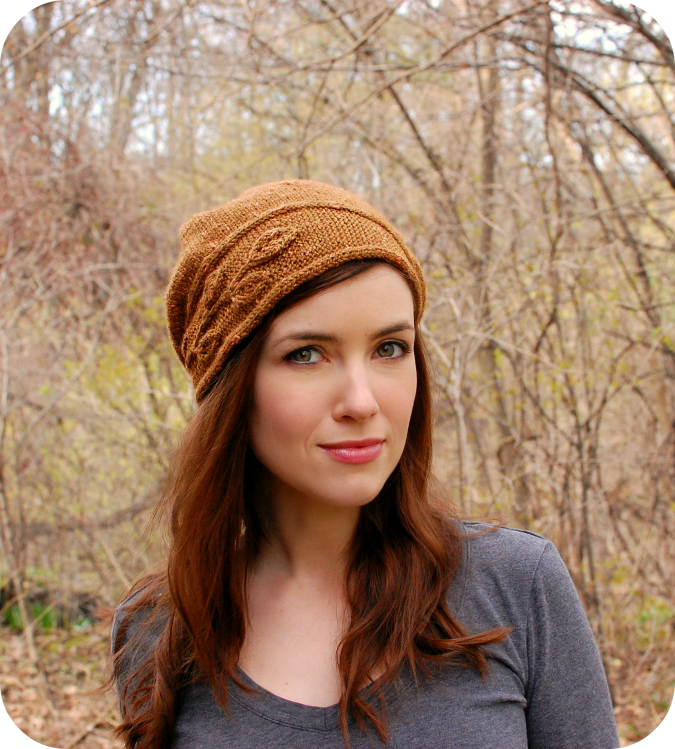 This hat was a fun little knit out of only one skein of Malabrigo Merino Worsted that I found in my stash. 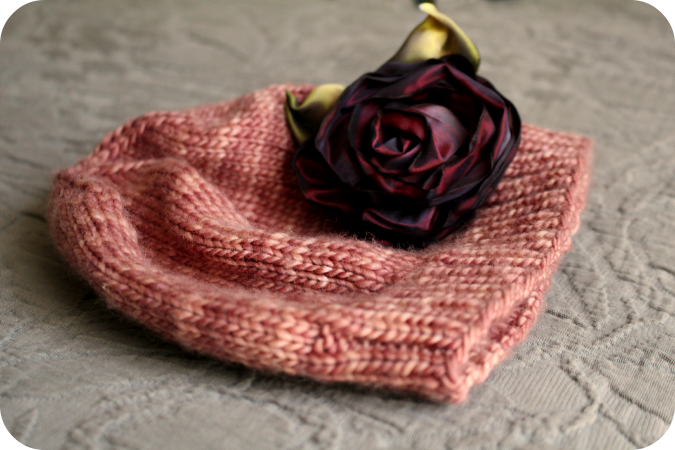 I think that the finished hat is sooo adorable and cozy! 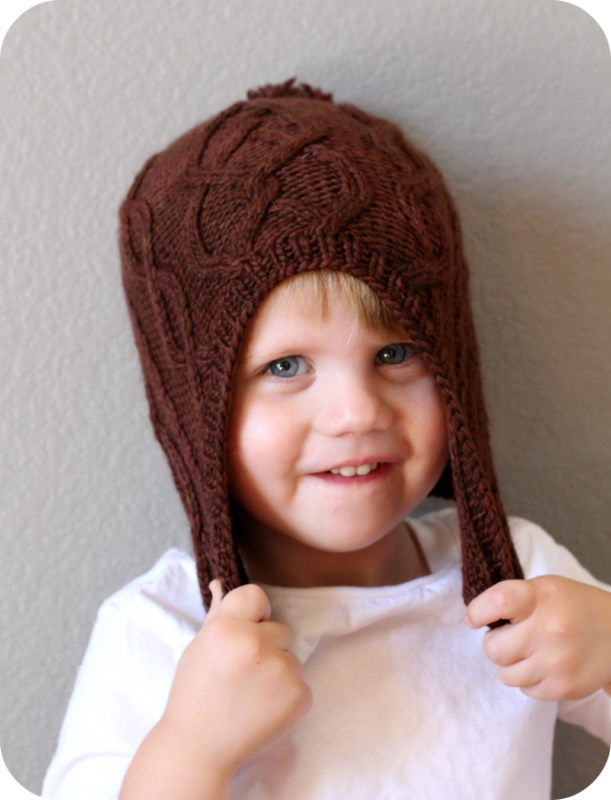 I think my son will appreciate this snuggly warm hat this winter. 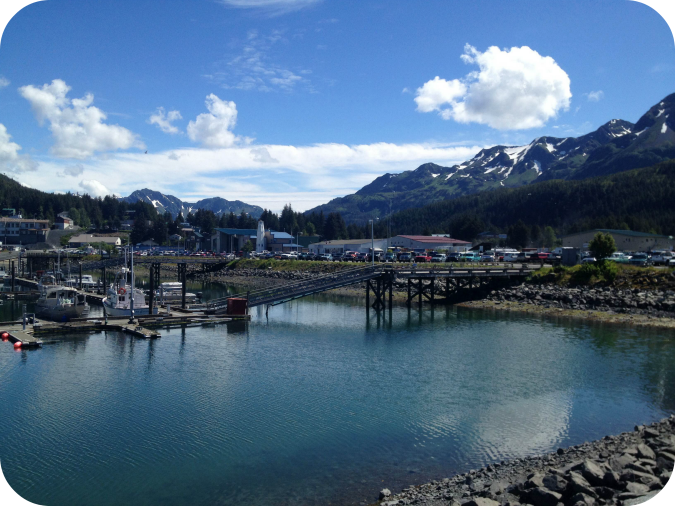 Last week I returned home from the Fiber and Friends knitting retreat in Cordova, Alaska where I was invited to work as an instructor. To be completely honest, it was probably the most amazing place I have ever been and it was one of the most fun weeks I have ever had. I feel so very privileged to have been invited to be a part of this amazing event. I wanted to share a few pictures of my time in Cordova but these unfortunately were taken on my cell phone and do not capture the beauty like my Cannon camera would have. I was so worried about traveling with my expensive camera that I did not bring it. Am I kicking myself now? You bet. Cordova is small and remote with no roads connecting it to any other place. It is considered a rain forest with an expected rain fall of approx 120-180 inches per year. 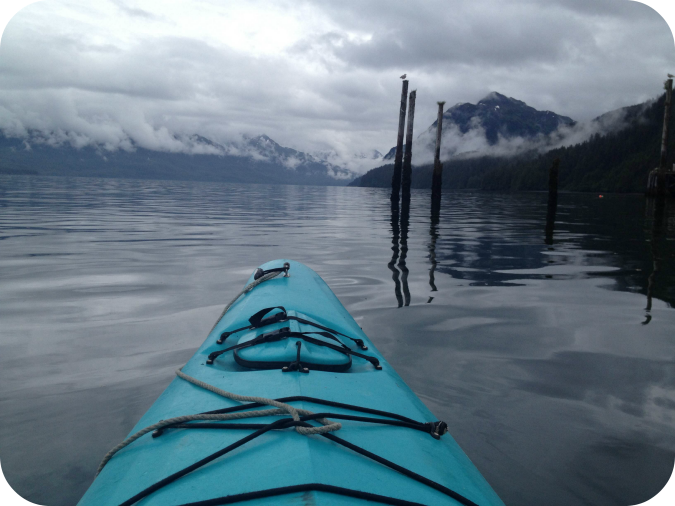 Everywhere you look it is lush and green, with clear calm ocean and snow capped mountains in the background. The ground is littered with wildflowers, berry bushes and moss. It felt so clean and peaceful there. 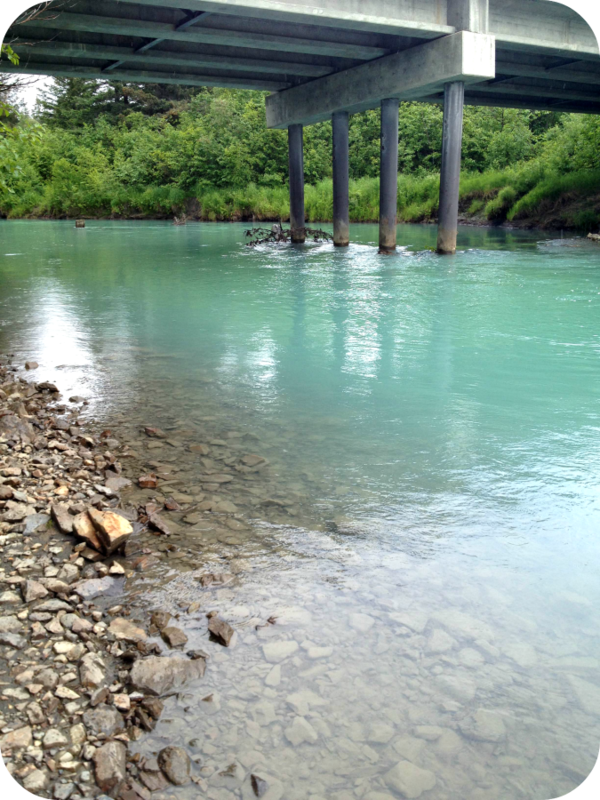 The turquoise waters are a result of glacier run off. 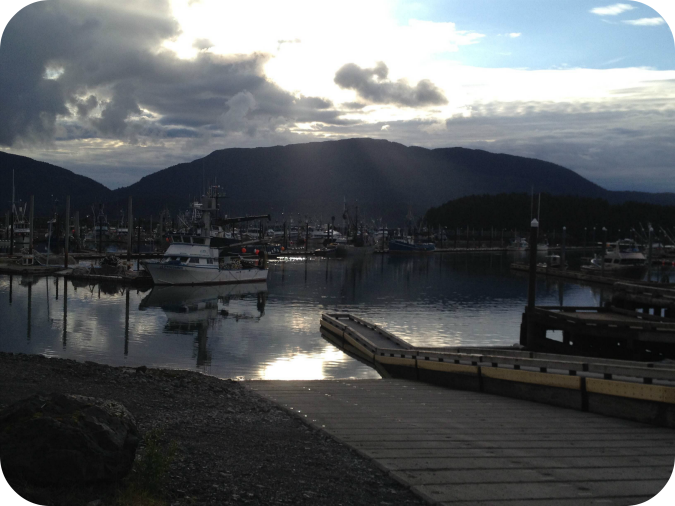 Although Cordova is a remote fishing village in Alaska, it has a thriving knitting community. Dotty, the owner of The Net Loft, was the organizer of this wonderful knitting retreat and just celebrated her store's 30th anniversary! Never could I have imagined that there would be a yarn store in such a tiny town, never mind the fact that it has been there for 30 years! 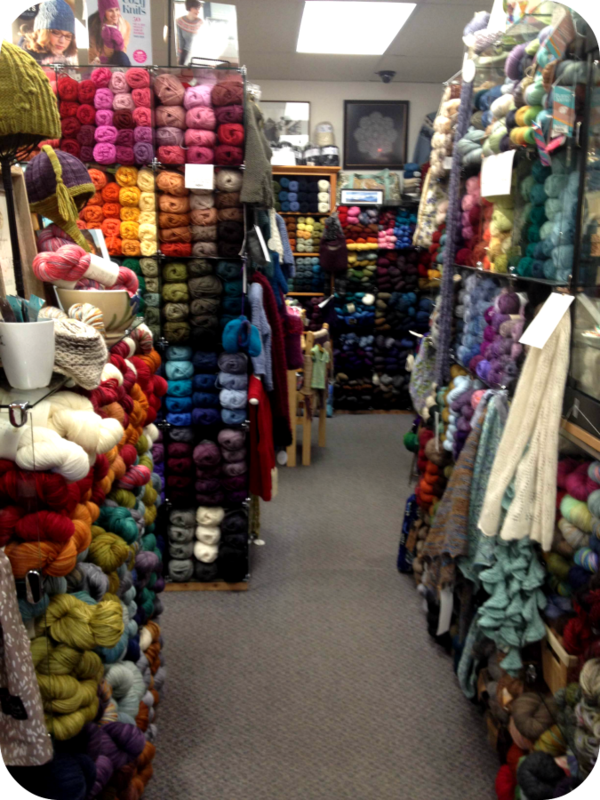 Not to mention.. this was literally the nicest, most well stocked yarn and craft store I have. ever. seen. I could have spent the entire week in that store. Good thing they offer mail order! This is just one tiny corner of a two-story shop! Everyone I met in Cordova was so very hospitable and welcoming. 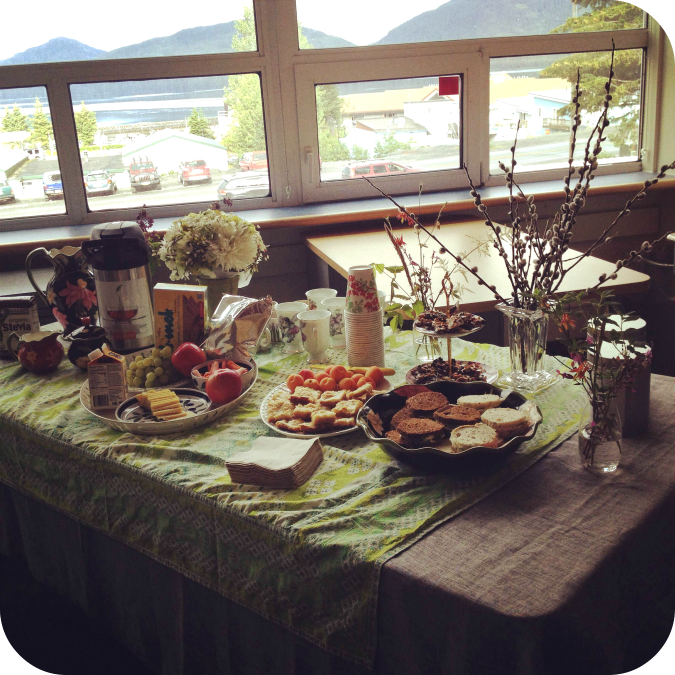 Everywhere we looked there was a display of Cordova wildflowers, homemade baked goods and a pot of tea. They really made everyone feel right at home. The classes themselves went great! I taught 6 classes while I was there. 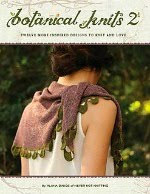 The knitters who attended were wonderful. It was really exciting to meet so many knitters from so many places and who traveled from all different parts of the world to be in Cordova for this event. 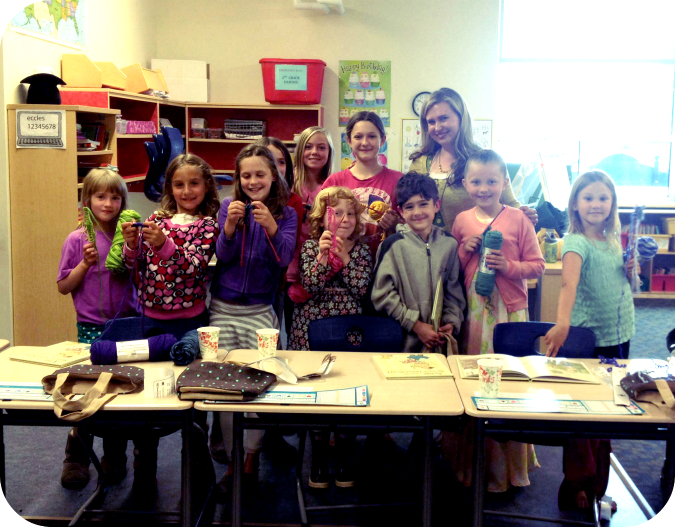 Despite this, I have to say that the highlight of my teaching had to be the kid's "learn to knit" class! 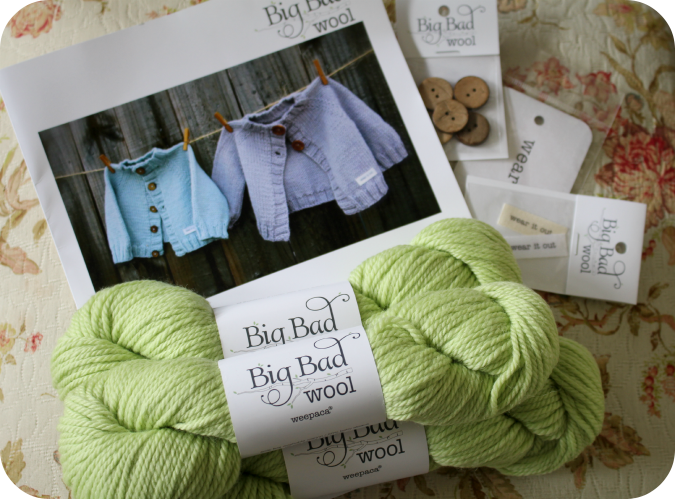 It is always so fun to help create new knitters! Look at all of those kids! Thank goodness I had quite a few adult helpers! My time in Cordova is an experience that I will always remember. I hope to someday bring my family there and share this amazing place with them as well. I highly suggest that everyone try to visit Cordova if they can. It was such a unique and beautiful town. 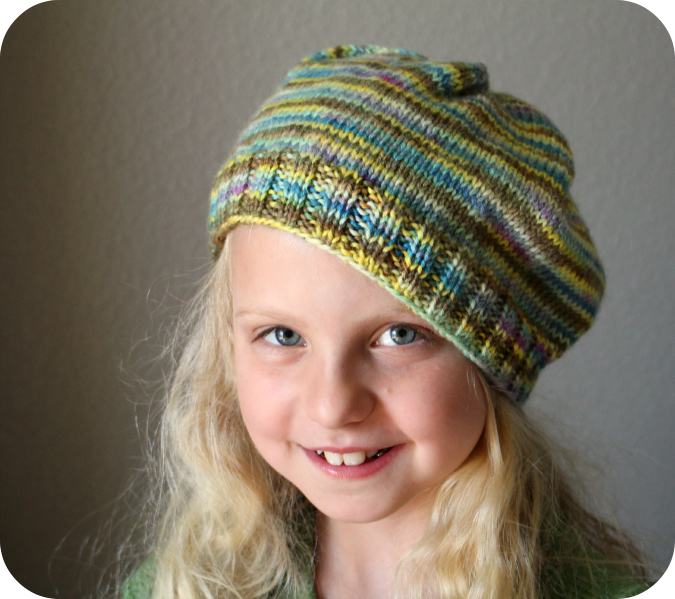 In an effort to bring home a piece of Cordova, I brought back 2 special skeins that were promptly knit up into two small hats for my daughter. The first skein is this amazing tonal color from the company Skeins in the Stacks. 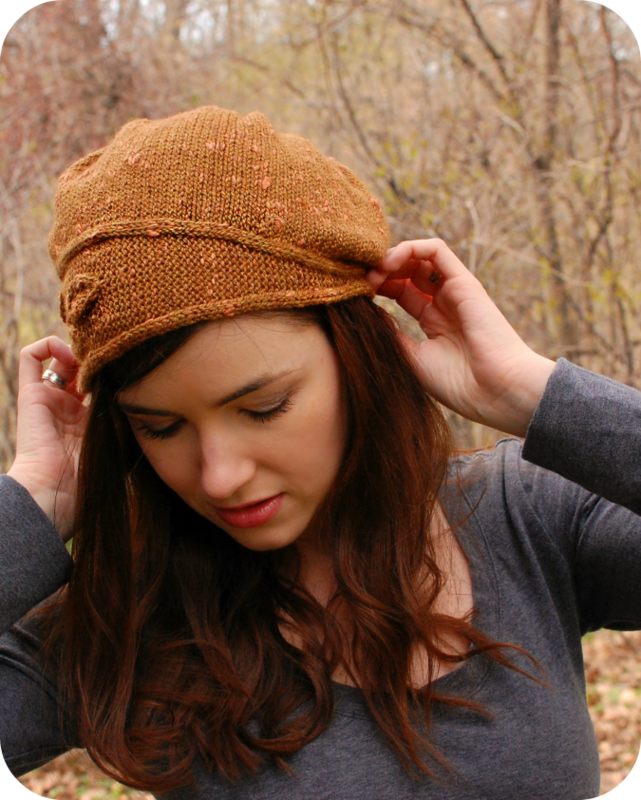 It is actually hand-dyed with wild berries from Cordova! The rose was created the last night we were there at the Net Loft. Dotty showed all of us how to create these pretty roses with ribbon from her shop. The next was a gorgeous skein of Snow Capped yarn which was kindly provided to all of the attendees. Snow Capped is also hand-dyed in Cordova. 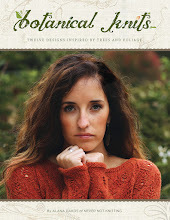 This particular colorway is special because it was inspired by a painting of Cordova wildflowers. I know that when I see these special knitted hats, I will remember the beauty of Cordova and the time I spent there. Thank you to Dotty and everyone at The Net Loft for organizing such a wonderful week and for sharing your beautiful town with us all. 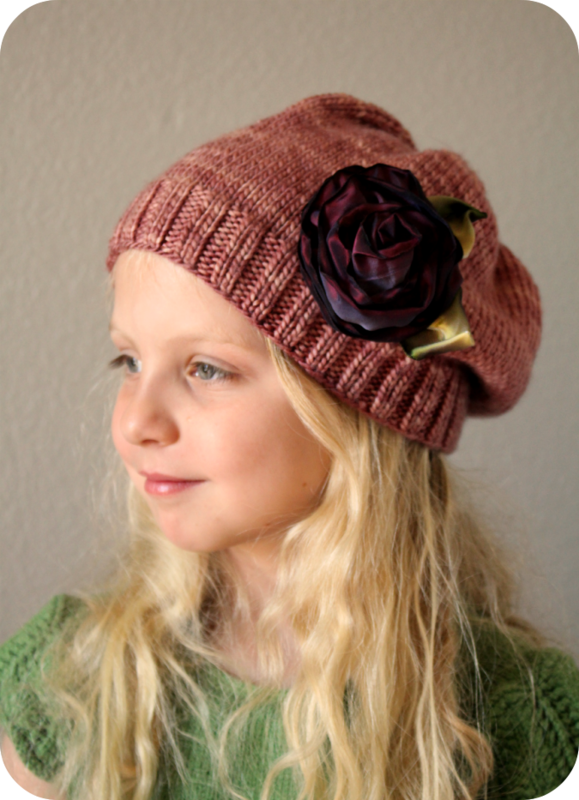 My new cloche design inspired by the Sprig pullover from Botanical Knits 2 is now available for purchase! 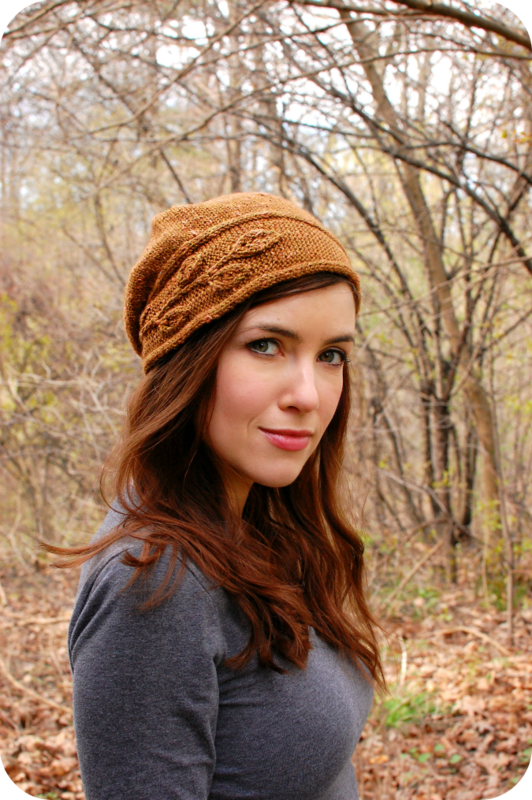 The Sprig Cloche is a face-framing hat design with a sprig of foliage gracefully wrapping around the asymmetrical brim. 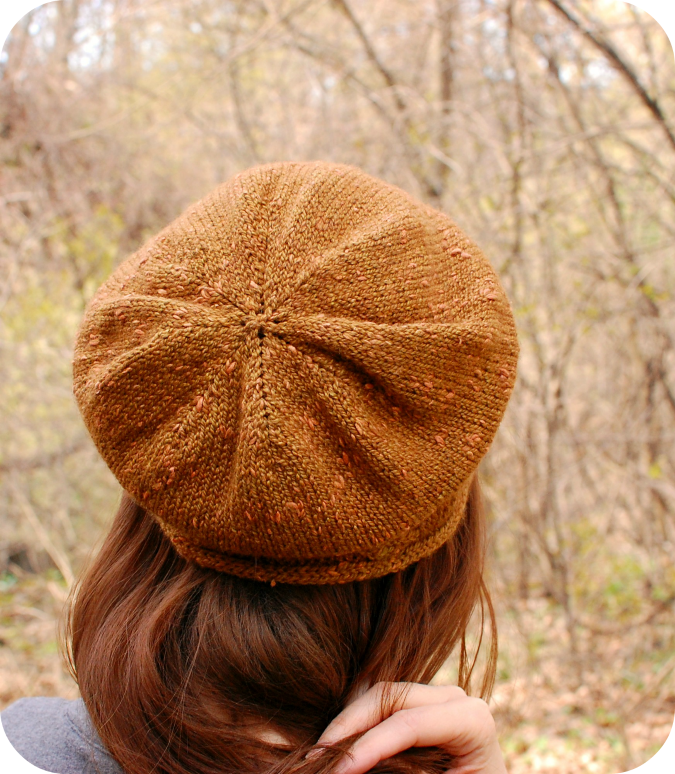 The brim is first knit flat, then stitched together at the ends. 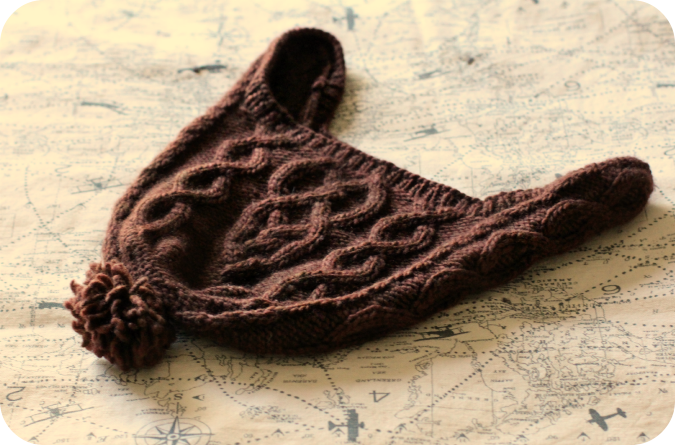 Stitches are picked up along one side and knit up in the round to create the body of the hat. It is a fun pattern with interesting construction, and an elegant result! 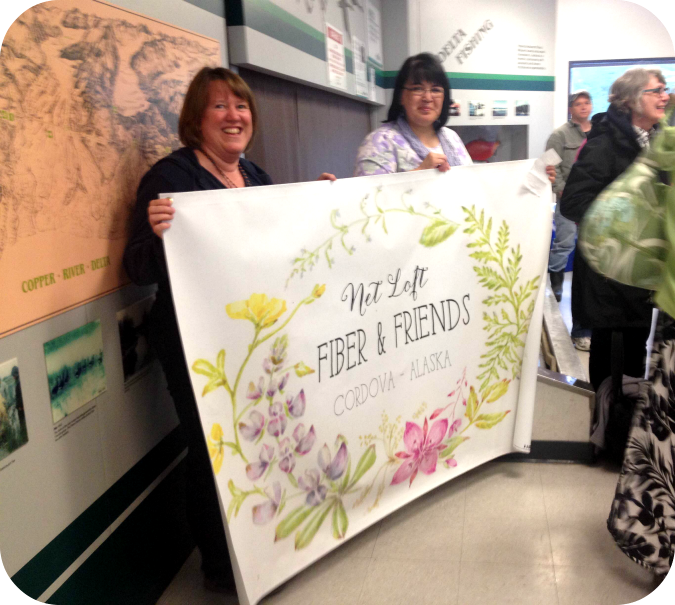 This is the second time I have had the privilege of working with The Fibre Co. Acadia yarn. 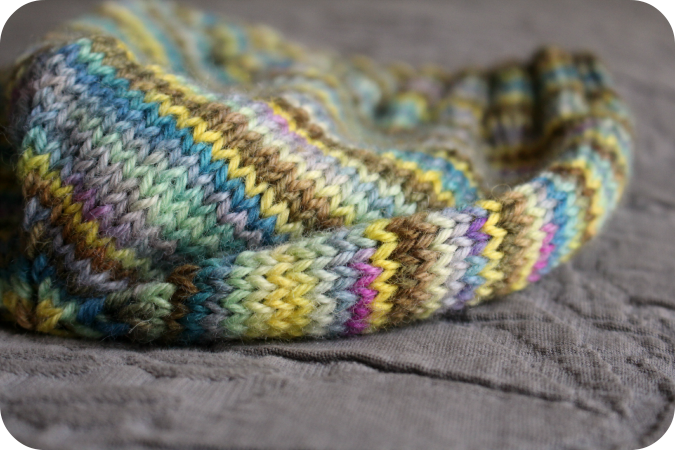 What a wonderful, luxurious yarn to knit with. 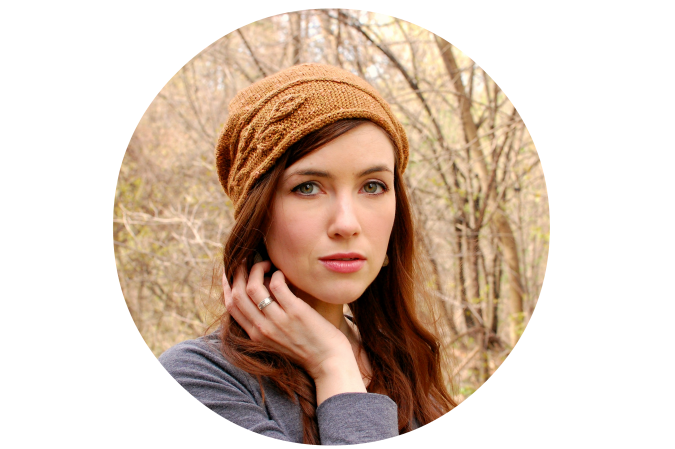 Here is the pattern information for those of you who are interested in knitting up a Sprig Cloche of your very own! The Fibre Company Acadia [60% merino wool, 20% baby alpaca, 20% silk; 145 yd / 133 m per 1.75 oz / 50 g skein]; color Amber; 2 skeins or approx 225 yd / 200 m of a dk weight wool or wool blend. 21 sts / 30 rows = 4” / 10 cm in Stockinette stitch worked in the rnd on US6 / 4 mm needles or size needed for accurate gauge. 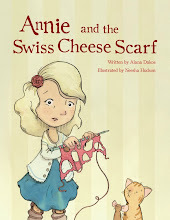 The pattern offers both charted and written pattern instructions. 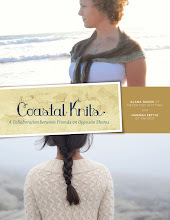 Photography and modeling provided by the lovely Julie Crawford from knittedbliss.com. Thank you Julie and Guy! 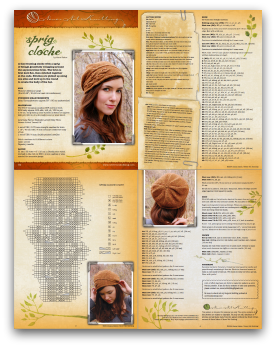 Purchase the pdf download for the Sprig Cloche below or look for it in print at your local yarn shop.